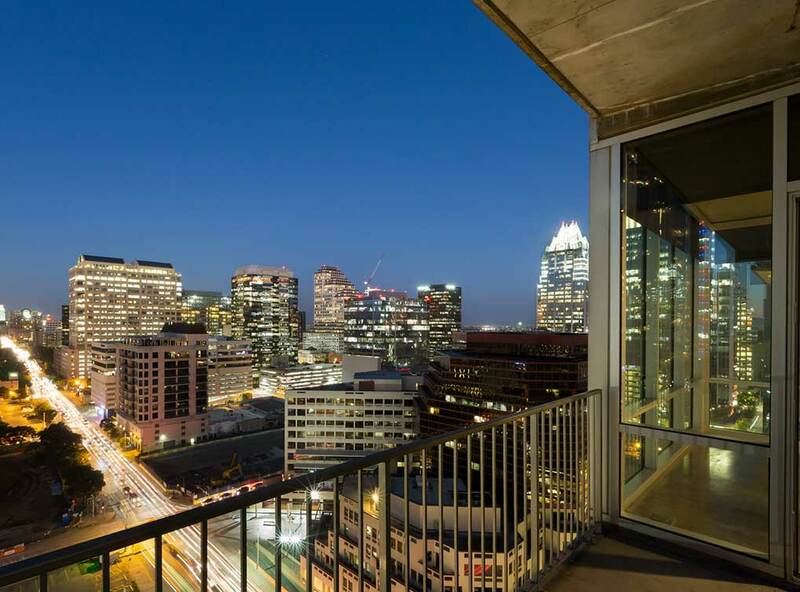 Features: Surrounded by Austin’s best specialty boutiques, dining destinations, entertainment venues and the Lady Bird Lake hike and bike trail, we are in the heart of it all. 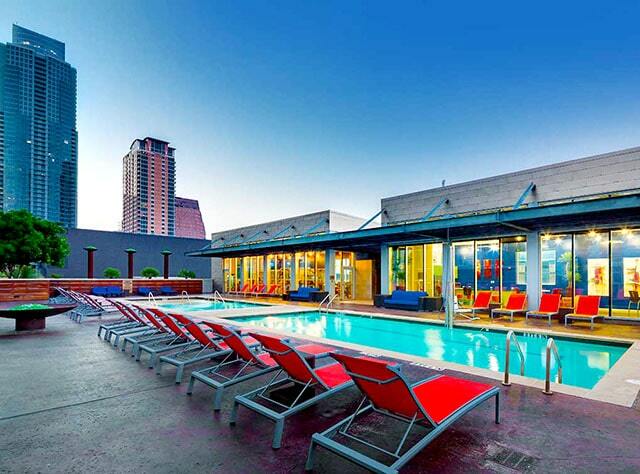 Our downtown Austin luxury apartments are near major employers as well as many universities. 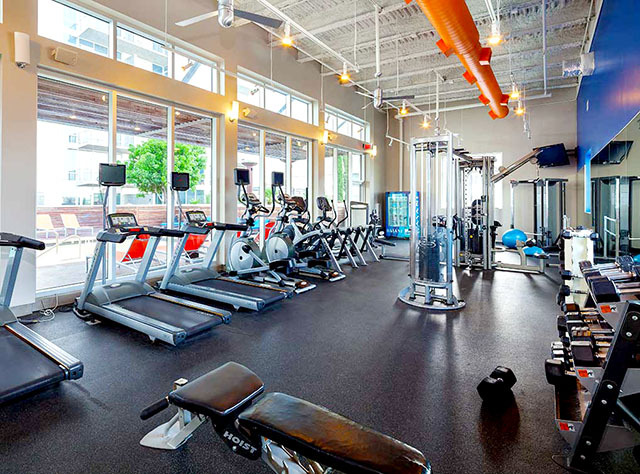 Our Austin apartments in City Center offer outstanding amenities that include a resort-style pool; high-endurance fitness zone; business center and communication hub; and sky deck with stainless steel grills and views of the 2nd Street District. Our resident lounge and activity zone with 70” LED TV is the perfect place for residents to relax. 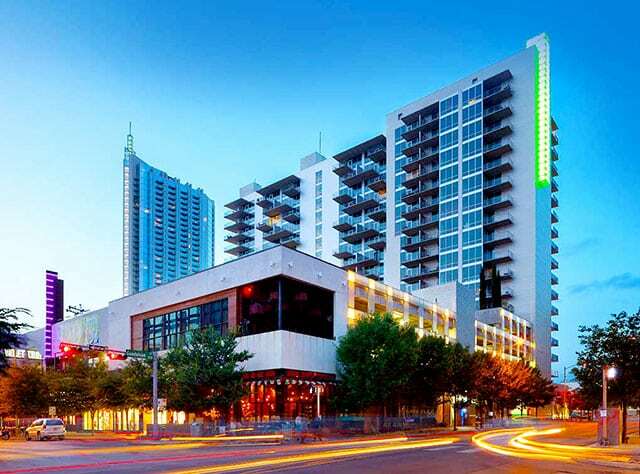 We offer two interior design finishes and spectacular views of the lake and Capitol. We have 10 foot ceilings, fully equipped chefs’ kitchens with black Whirlpool appliances, stainless steel refrigerators, and granite countertops. 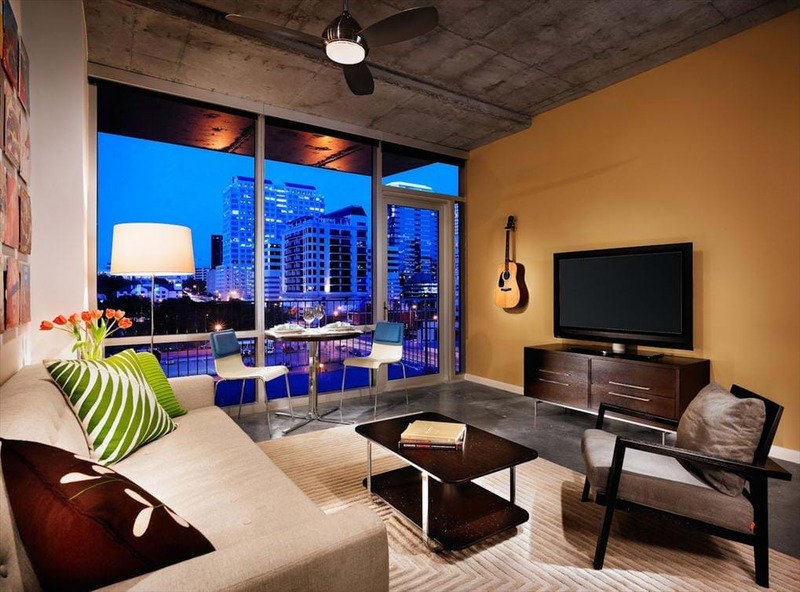 Polished concrete floors and floor to ceiling windows give you lots to love!